Now that things are moving a long I can post something new. The next project is my donation for the Artist Preservation Group. It's been a long time since I've done a relief sculpture. The project was started after getting permission from Historical Artist Keith Rocco to reproduce one of his studies. 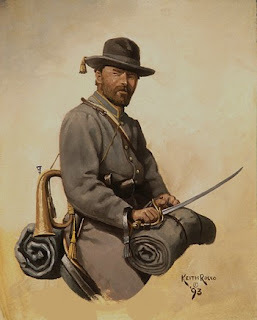 The subject is a Confederate cavalry bugler.